BEER is a laptop ensemble specialising in structured improvisations using live coding and networked music performance. In keeping with post-free jazz developments in improvisation (e.g. Zorn, Braxton), we create structures and intervention mechanisms that impose limitations and formal articulations on the musical flow (taking advantage of networked computer systems as the intervention mechanism par excellence). 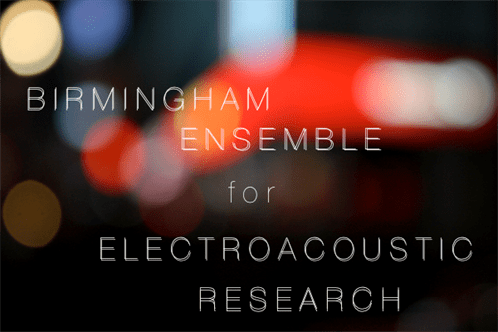 The ensemble was founded in 2011 as a research project within the Music Department of the University of Birmingham to explore aspects of realtime electroacoustic music making. Current members include Scott Wilson, Norah Lorway, Visa Kuoppala, Rosalyn Coull and Tim Moyers.